« RMP’s 238th world record breaking Messiah! 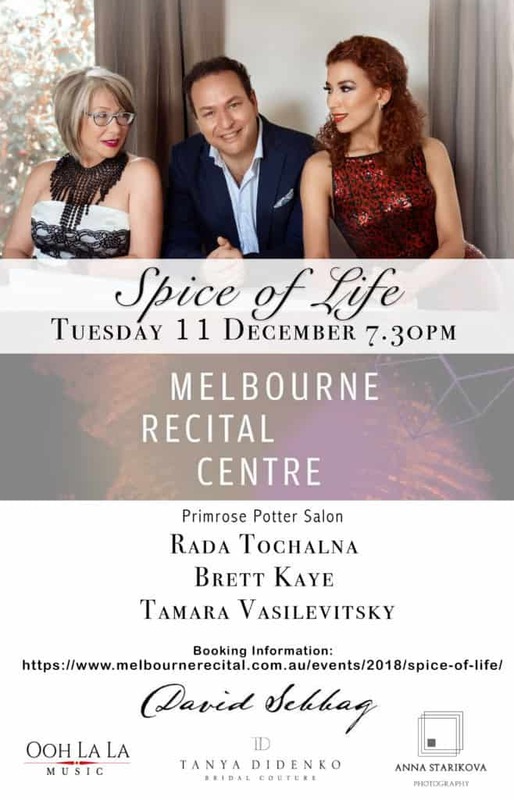 Rada Tochalna, Brett Kaye and Tamara Vasilevitsky take you on a musical journey spanning a myriad of genres and continents. Rada possesses an exquisite voice that combines perfectly with the lyrical beauty of Brett’s singing. This, combined with the energy and mastery of Tamara’s piano prowess, results in a musical synthesis that is extremely rare. Join them on a musical odyssey that will leave you mesmerized, invigorated and wanting more.